Ministry of Tourism under-secretary of state Kuch Panhasa led the Cambodian delegation to join the four-day-long EMITT, which was held between January 31 and February 3. Pacific Asia Travel Association (PATA) president Thourn Sinan said Turkey is a big country with a big economy. However, relations with Cambodia have been historically minimal, while the country has strong relations with the Kingdom’s neighbors Thailand and Vietnam in all fields. “Every year, many Turkish tourists travel to Thailand and Vietnam, where there is a Turkish community,” he said, adding that ministry leaders’ attendance at the EMITT event will contribute significantly to the future of tourism in Cambodia. He added that Turkey does not only offer a high potential for the Cambodian tourism sector, but the country also offers high potential for Cambodian agriculture. Cambodia is currently preparing to establish an embassy in Ankara, which may open this year. Cambodia Association of Travel Agents' adviser Ho Vandy said relations between Cambodia and Turkey are closer after an official visit by Prime Minister Hun Sen last year. “We have seen that the relationship between the two countries has been steadily improving,” he said. Cambodia is set to attract more investors from Turkey as the Kingdom aims to triple bilateral trade with the country to more than $500 million by next year. The pledge was made during the prime minister’s visit to Turkey last year to strengthen bilateral cooperation. During the visit, the countries signed a memorandum of understanding on tourism, investment, agriculture, culture cooperation, education, sports, water resources, and mine clearance. Since 2002, Turkish-Cambodian economic relationships have boomed, with trade rising from about $5 million a year in 2005 to $124 million in 2014, according to the Kingdom’s Ministry of Commerce figures. The data showed that about 90 percent of the figure is comprised of Cambodian exports to Turkey – mostly textiles. 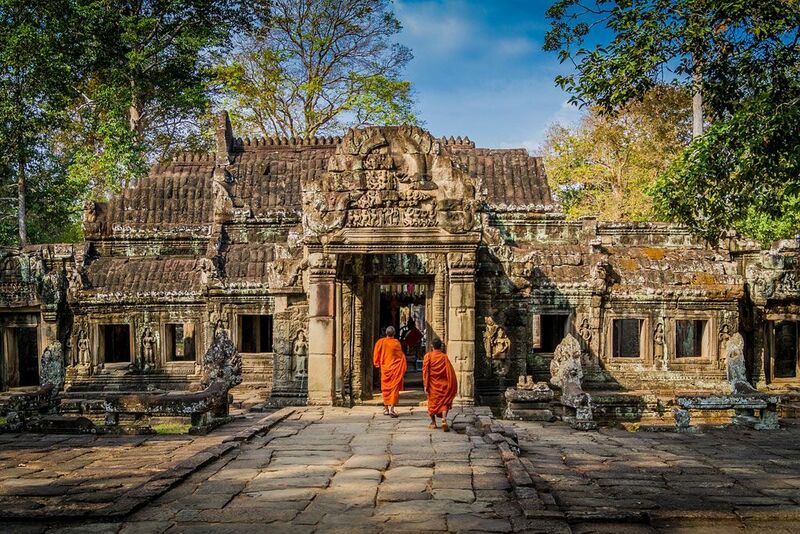 Ministry of Tourism data shows that in the first 11 months of last year, Cambodia received 6,921 Turkish tourists, down 5.77 percent compared to the same period in 2017, with 7,345 tourists.